With summer in full swing, it’s important to have my girls eat healthy and keep busy. I had this grand idea that we wouldn’t over schedule our summer with a bunch of camps but rather enjoy lazy, hazy days together. What the hell was I thinking? By mid-morning we are looking at each other thinking how can we fill this day and not go crazy. Enter the timeless tried and true tactic of get them outside. Here are a few tricks I use to get my girls in the garden, helping in the kitchen and get food on the table. The biggest gain is my sanity, but there is also the fact that when kids are involved in the growing and preparing of food they are more likely to eat it. It makes trying new foods fun as they have a vested interest in the results. If you’re not picking produce from a garden, try foraging with your kids at the local produce store or farmers market. My mom employed this tactic with us at the grocery store. We had so much fun trying new things. Give the kids true ownership of the process— honestly, they can’t make a bad choice—everything is fresh and most is in season. Also, as an uninspired mom that can’t figure out what to serve for dinner, it’s surefire way to integrate new life to your meal time rotation. In the afternoons I scoot the girls out to the garden and tell them they can pick what they want for dinner. Disclaimer: you’re going to need an open mind about what enters back in the kitchen. Most of the time they return with lots of fruit and a few rouge herb and lettuce leaves Can you believe we are harvesting apples and peaches at the same time? For the greens, let the kids wash and dry themselves. First, to wash the lettuce, grab a bowl and fill it with cold water, then dunk the lettuce into the water and gently move it around so all the excess dirt and critters who latched on for a free ride come off. This is the way we have been drying lettuce in my family for generations and the kids love it. Grab a dishtowel, place the washed lettuce in the center and fold the four corners up to create a makeshift satchel. Here’s the fun part for the kids- send them outside and have them swing the lettuce satchel around and around in circles. The centrifugal force will dry the lettuce and also spray water all over the place, so send them outside for this step. Keep the lettuce in the moist towel and store it in the fridge until you are ready for mealtime. The lettuce will crisp up while in there and be nice and chilled for your salad. At the store, have your kids choose fresh herbs that smell good to them. Or better yet, plant some in pots in your yard (but that’s another blog post entirely). A sprinkle of fresh herbs over your salad, veggies or grilled meat always tastes fresh. Gently wash the herbs and then remove the leaves from the stem. Put the leaves in a short juice glass and hand the kids a pair of kitchen scissors. They can chop the herbs in the glass safely. This is fun and a heck of a lot safer than a little one with a sharp knife. Small mason jars are awesome for kid cooking projects. I mentioned yesterday in my recipe for Orange Balsamic Dressing how they make for easy mixing and shaking. 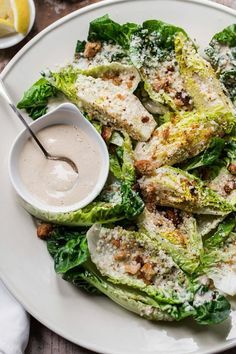 A couple of other great dressings and dips kids can easily concoct in the kitchen are: Homemade Ranch and Meyer Lemon Dressing. I love making these memories with my kids, so many of them are the same memories I made with my mom and sisters growing up. I also love the few spots that were left at golf and tennis camp next week. Flashback of my little helpers. Where does the time go? I love your kid stories. when you involve your kids in what you do it gives them a sense of power and belonging. And my grandkids can tell a weed from a seedling. Ah, the circle of life, all about the food! They all love being in the garden, how simple is that? Love seeing those little farmers and their cute little faces, hands and toes!! Happy to see what you are doing, and enjoying being part of it.